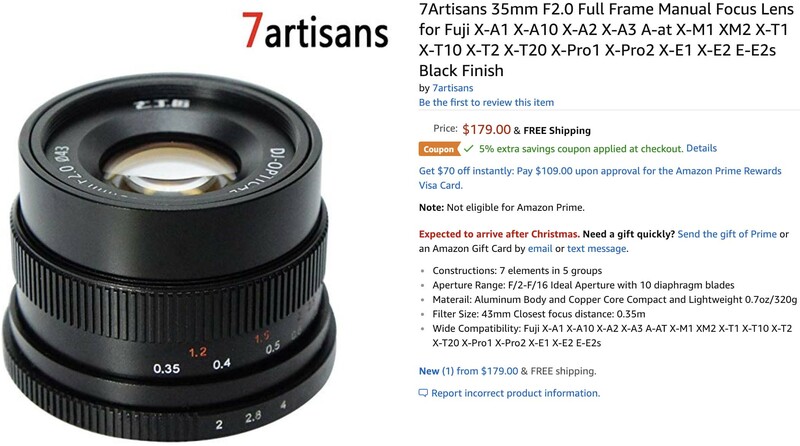 7artisans has a lot of affordable options on the market and their lenses keep getting better so if you’re looking for an inexpensive 35mm lens than this might be one worth trying. You can get a copy today from Amazon or B&H Photo. This entry was posted in 3rd Party Lens and tagged 7Artisans, 7artisans 35mm f/2.0, Fuji Rumors, Fujifilm, Fujifilm Rumors, FujifilmRumors, Fujirumors. Bookmark the permalink. Trackbacks are closed, but you can post a comment.